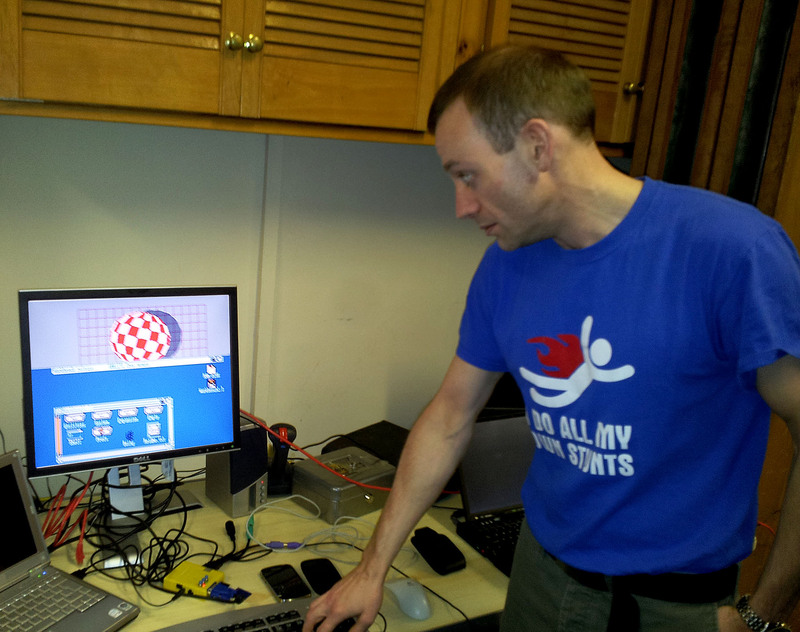 On my trip to Europe I made another pilgrimage to AmigaKit's offices and this time I got the chance to check out their vast stock of Classic Amiga inventory. 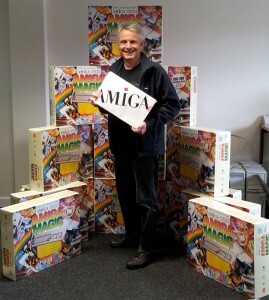 For an Amiga enthusiast it's a bit like striking gold. So here they are once again. 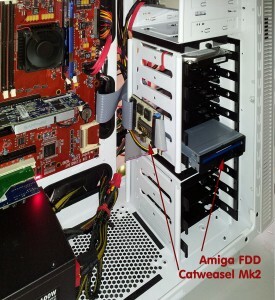 If you are a regular reader of my blog you will know that A-EON commissioned Ian Gledhill to build on the excellent work of earlier developers to create an updated set of Catweasel Mk2 drivers for the AmigaONE X1000. Of course other Next Generation Amiga owners should also benefit from his work. 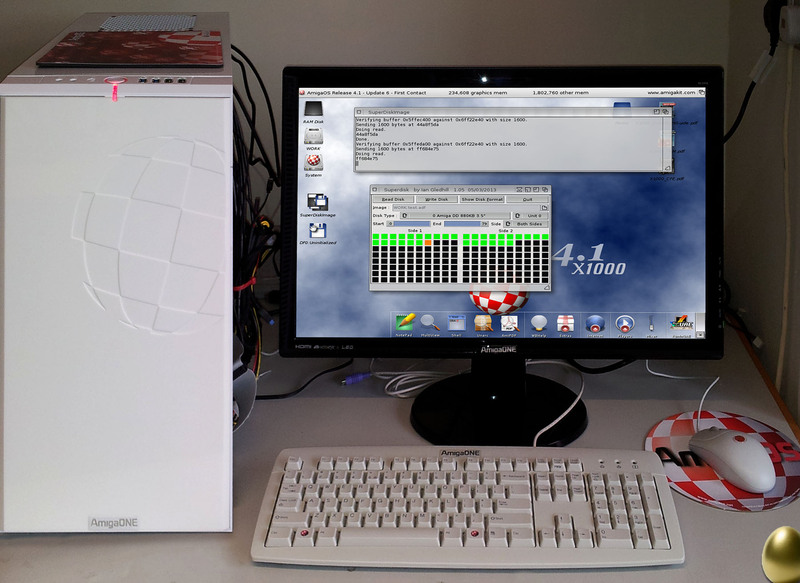 While I was in AmigaKit's offices I got the chance to try out Ian's latest Catweasel Mk2 drivers on one of AmigaONE X1000 that was being tested before shipment to a customer. I'm very pleased to report that, not only is the Catweasel very easy to set-up and use, the latest version of Ian's driver mounts DF0: (or PC0:) and, just like on a standard Amiga, it auto-senses whether the disk is DD or HD. Magic! You can insert any Classic Amiga floppy disk and it is instantly accessible. 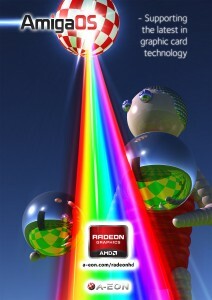 You can even create ADF image files if you wish. Following my visit to AmigaKit we drove to High Wycombe to meet with Paul Gentle and Adam Barnes the Managing and Technical Directors of Varisys Ltd, the developers of the Nemo motherboard. We reviewed the status of current developments and commissioned Varisys to manufacture another batch of Nemo motherboard to fulfil the demand on our pre-order list. 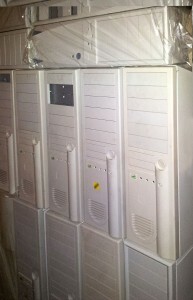 Please click on the following LINK for more information. I got to see Chris Young running the latest developer version of NetSurf 3.0 for AmigaOS 4 as Chris Handley demonstrate RunInUAE to Alan Ullmann (@DDNI), who was in London on other business having just flown in from Northern Ireland. 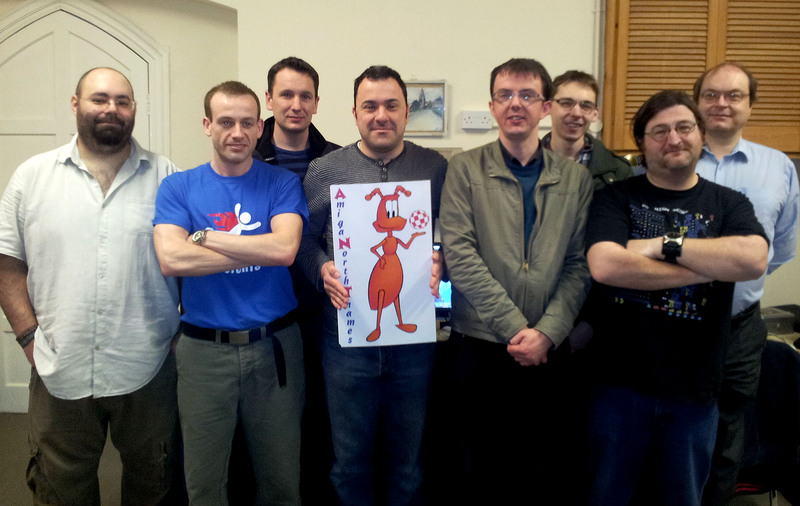 Steven Croucher was demoing Classic Amiga games on his Chameleon with the latest firmware installed and Andy Costin, who is also ANT's Deputy Chairman, was working on his long term Classic Tower project. There was even a new Raspberry Pi, which was brought along by David Southan, although much to his annoyance and disappointment it only had 256Mb of RAM and not the 512Mb version he ordered. Mike Woods (@MiggyMan) completed the ANT crew and was busy transferring gigabytes of data at USB 1.1 speeds which was not helped by MickeyC's temperamental Micro A1-c.
French MorphOS enthusiast Yannick Buchy (@Papiosaur) has issued a revamped version of his "Pack Ultimate", a preconfigured collection of software, games and emulators for MorphOS. Continuing with his butterfly theme, the new 3.1.2 version is now called Chrysalis and as before requires a clean of MorphOS 3.1 installation. While Chrysalis may not be of interest to experienced users it will certainly be helpful for those who are new to MorphOS or have only a passing interest. For more information or to download Chrysalis please visit Papiosaur's Meta-MorphOS website. 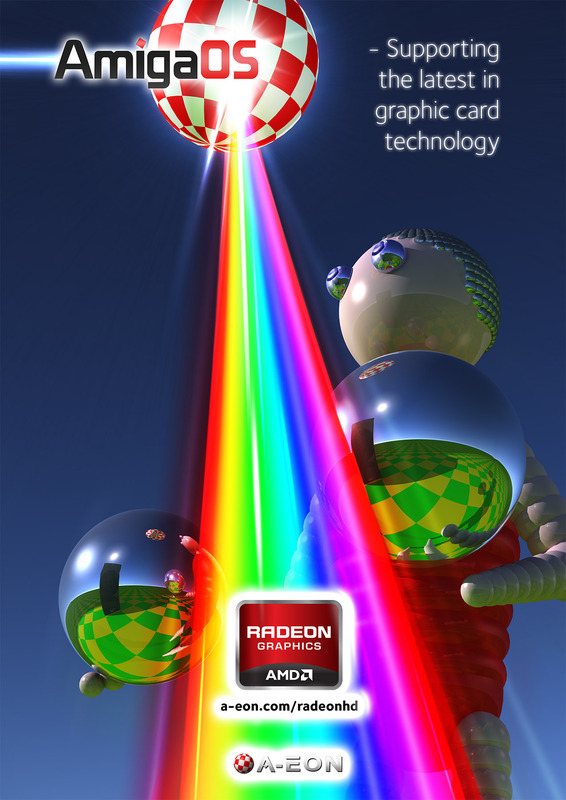 To celebrate the fact that AmigaOS 4 now supports the latest in RadeonHD graphics card technology I contacted Amiga graphic artist Kevin Saunders to see if he could come up with a new poster which would commemorate the achievement. I threw him a selection of ideas and suggestions and as usual he made sense of my vague ramblings and managed to create a fitting tribute to the Amiga's past and future. 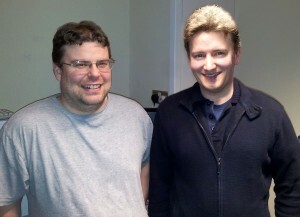 While in London I made some time to catch up with Simon Archer (@Rigo) one of the premier AmigaOS 4 developers and author of the CodeBench Development Environment for AmigaOS 4.1 as well as lead programmer for the excellent AmiUpdate utility. Actually to be honest we called Simon up late in the afternoon on the off-chance that he might be available. He was on a job but promised he would meet up with us in Central later later in the evening. Anyone who knows Simon, will also know he is fond of a small tipple and we met up with him for a few drinks in central London late one evening prior to catching the early morning Eurostar train to Brussels the following day. Needless to say we had an enjoyable evening and only just made our train. There was not a lot of time for breakfast but we managed to find the essential items before the train departed! Quote of the day from Simon Archer as he left us at our hotel at 3:30am in the morning. "That will bleeping teach you to call me up at the last minute!" Well that's what it felt like after only 3 hours sleep, a hangover and a 15 minute run to the train station after sleeping through the alarm clock. I still managed to outrun Matthew, but to be fair he did claim he was waiting for the traffic lights to change! 😉 We made it safely to Brussels and met up with the Hyperion Entertainment management and the AmigaOS4 core developers. It was a productive meeting in spite of everything. 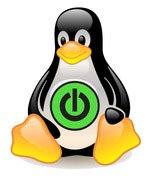 Servergy, Inc, the people behind the PowerPC server technology have now formed the PowerLinux Users Group (PLUG), an international users group to control and shape the future of PowerLinux software development for the OpenSource community. Servergy's William Mapp, the founder and President of PLUG said, “The vision and goal of PLUG is to provide an exciting international focal/inflection point to fuel the collaboration, innovation and growth of PowerLinux for industry, academia and government, around the globe.” OK Power Linux may not be of interest to many Amigans, but that fact that Servergy are promoting open source PowerPC to global Power Linux developers can only be good for the future of PowerPC hardware. Although PLUG is based in Austin Texas their meetings are to be broadcast live as a webinar to allow developers around the world to tune in and participate. 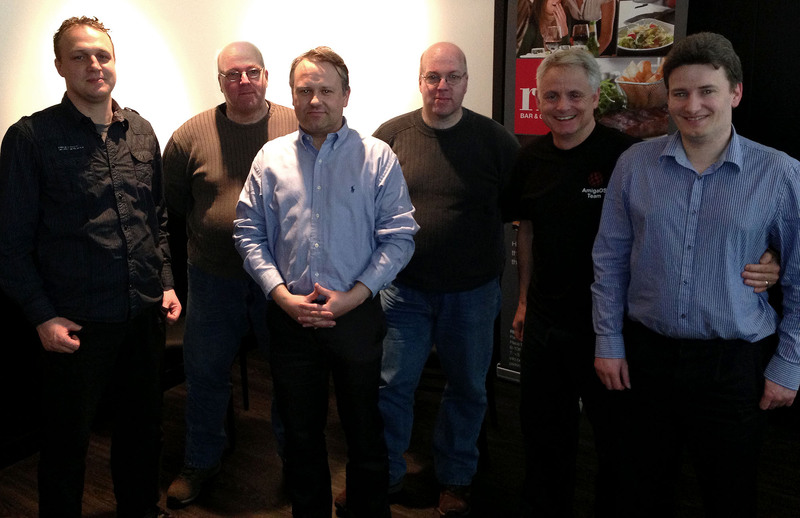 The next meeting is scheduled for April 6th and will include presentations from Freescale, IBM, Oracle and Servergy. For more information please visit the Plug Website. 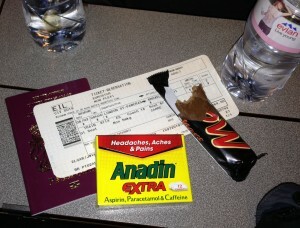 Sometimes coincidences just happen! 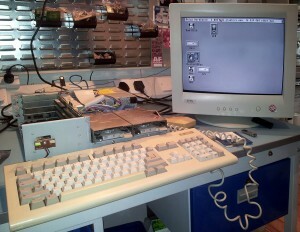 You may recall that I had some "fun" dismantling an A3000 to access the Kickstart ROMS. Well I'm pleased to report that the work was not in vain. 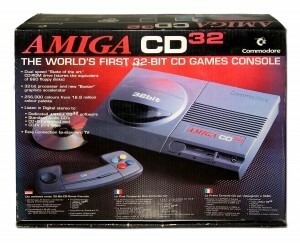 A few weeks later I was given a free A3000 and boxed CD32 courtesy of James and the Freecycle initiative. 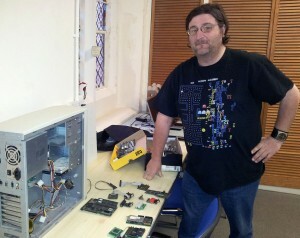 James, who is a retired Architect, used his A3000 to give himself a boost earlier in his professional career. 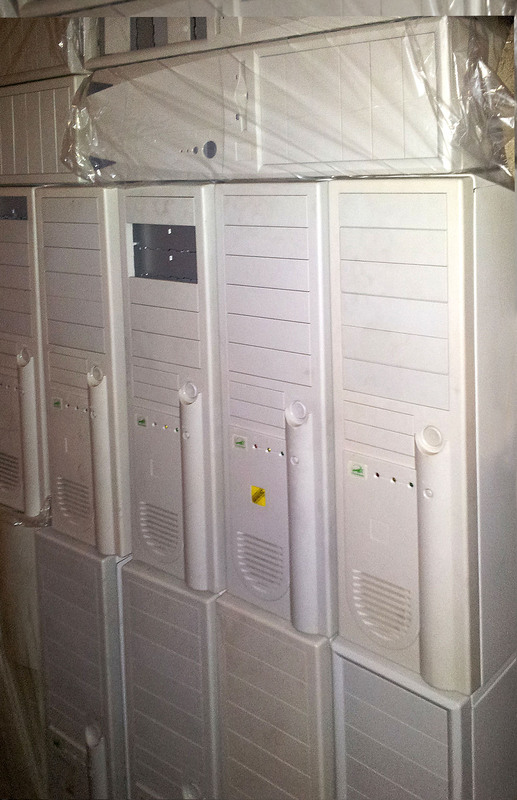 Now that he had retired he wanted to clear some space in his garage but did not want the throw the Amigas away. I was only too happy to take the Amigas off his hands. On investigation I discovered that the A3000 motherboard had suffered the dreaded leaking battery damage, but the case, Zip Ram, keyboard, external FDD, etc were all in reasonably good condition. I removed the damaged motherboard and installed a spare one I had put aside for such an occasion. 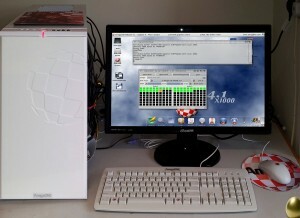 After a short while I had the re-built A3000 up and running. Even the original SCSI HDDs were OK. Fortunately the CD32 checked out OK and after a quick clean was up and running. 🙂 I also inherited boxes of floppy disks, Amiga technical and software manual, cables and other miscellaneous components. Thanks James.